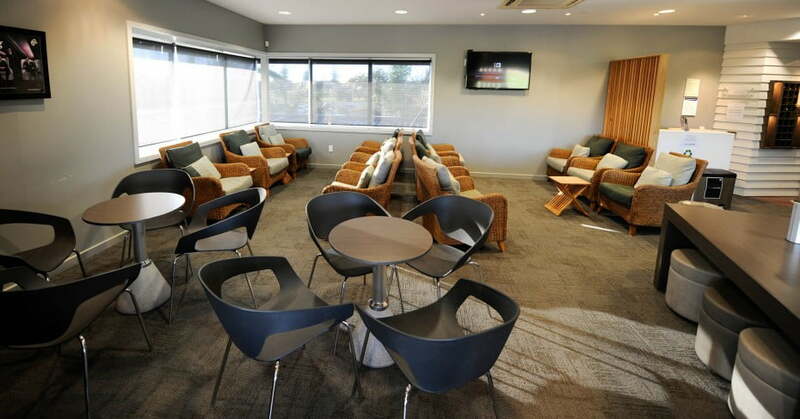 Our eleven Air New Zealand Regional Lounges are located throughout New Zealand. 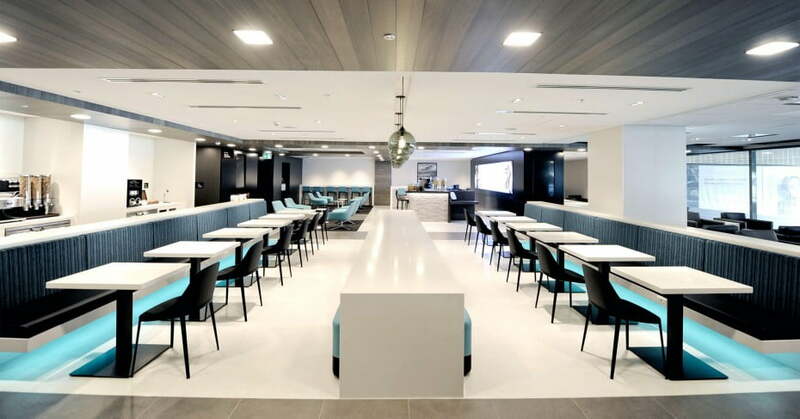 The Air New Zealand Regional Lounge at Auckland Airport is set to undergo an expansion. And when complete, the new lounge will move to level 1, above the current Air NZ Valet Parking drop off and car park area. It will have three times more seating than the current space and feature Air New Zealand's signature modern design, a new menu offering and will also include integrated Air NZ Valet Parking and drop-off as it does today. As construction progresses updates will follow. 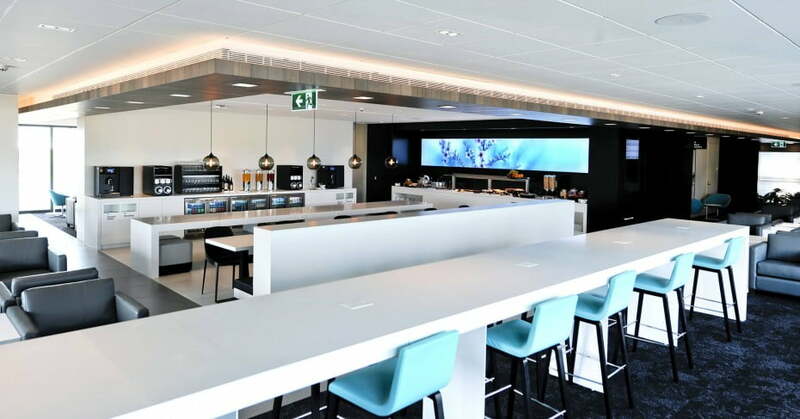 Airpoints Elite, Gold, Elite Partner and Koru members can bring in one guest to Regional lounges, your guest must enter the lounge at the same time as you and be departing from the same airport terminal on an Air New Zealand flight. Guest access is subject to space on the day. The eastern end of the terminal building for flights going to provincial destinations on our regional domestic aircraft, near the airlines valet parking. 167m2, seating for 80 guests. Light snacks, barista coffee and bar. Our refurbished Hamilton Regional lounge opened mid-2016, situated on the upper floor over the boarding gates, the new-look space boasts prime views of the runway and surrounding farmland. The lounge is located on the upper floor of the Airport terminal, above the boarding gates. 238m2, seating for 92 guests. Buffet and light refreshments available with bar facilities. Wi-Fi, business desk, photocopier/printer, USB and power points at most seats. 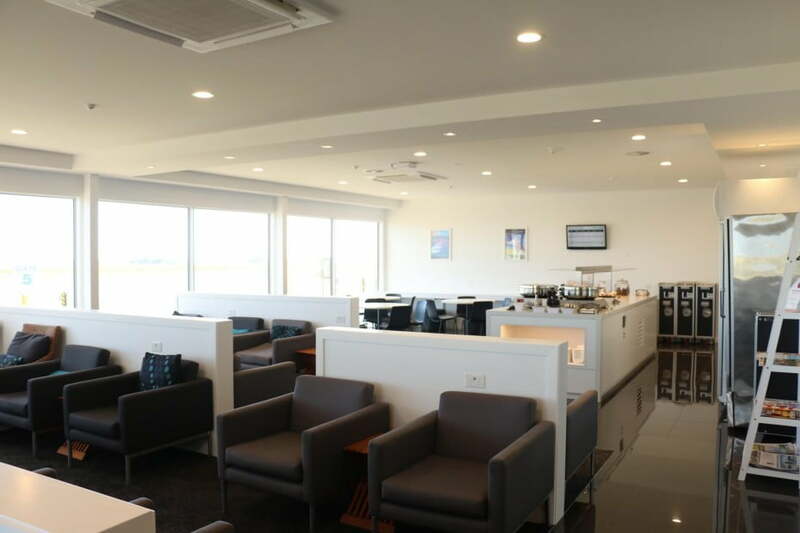 The brand new Tauranga Regional Lounge opened in December 2018. It features large windows with views out over the runway and offers more than double the number of seats than the previous space. The new lounge has four different zones, with most seats having access to power/USB charging facilities, and is styled in Air New Zealand's signature modern design. The lounge is located on the upper floor of the Airport terminal, accessed by stairs or lift beyond the café. 385m2, seating for 89 guests. The new temporary New Plymouth Regional lounge opened early March 2018, located on the ground floor of the airport terminal with views out onto the runway. This space is designed to provide more seating and comfort for our members, whilst the new airport terminal is being developed. 150m2, seating for 62 guests. Our Napier Regional lounge went through a soft refurbishment in late 2015. It is well equipped for business and leisure travellers, and offers views of the runway and surrounding farmland. The lounge is located on the upper floor of the Airport terminal. 110m2, seating for 67 guests. Wi-Fi, business desk and photocopier/printer. Our Palmerston North Regional lounge opened late May 2017. With large windows offering views onto the runway below, it's 90% larger than the previous space, featuring four different seating areas to choose from. Stay powered up with most seats having direct access to power/USB charging and enjoy light refreshments from the new self-service buffet and drinks station before your flight departs. The lounge is located on the first floor of the Airport terminal. 338m2, seating for 102 guests. Wi-Fi, business desk, photocopier/printer, USB and power points at some seats. Our brand new Wellington Regional lounge opened late November 2016. This Regional lounge is in a convenient location close to the regional gates, before the security screening point. The large windows allow for sweeping views over the airports public atrium and beyond to the domestic runway and features our popular barista made coffee. The lounge is located on the first floor of the airport's main terminal building, before the new centralised security screening point, and close to the regional gates. 400m2, seating for 136 guests. Buffet with light refreshments, bar facilities and barista made coffee. The new temporary Nelson Regional lounge opened early October 2018, located on the mezzanine floor of the airport terminal with views out onto the runway and the terminal ground floor. This space is designed to provide more seating and comfort for our members, whilst the new airport terminal is being developed. The lounge is located on the mezzanine floor of the Airport terminal, accessed by the stairs past check-in or elevator close to the terminal bathrooms. Buffet and light refreshments available with beverage facilities including beer and wine. 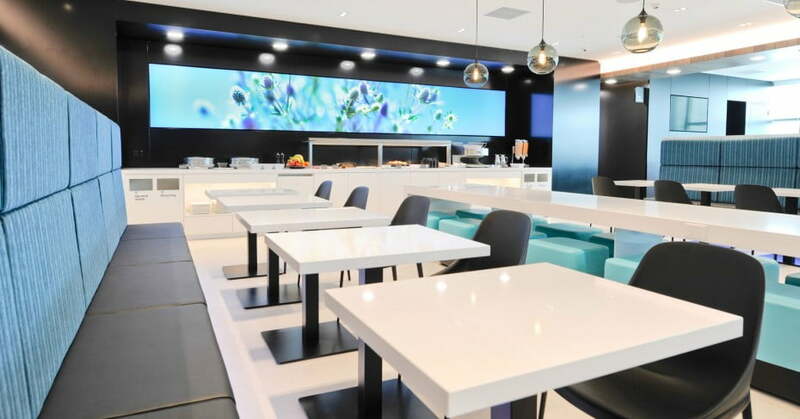 The Air New Zealand Queenstown Regional Lounge at Queenstown Airport was refurbished in two stages and upon full completion, opened end of March 2017. This new, modern and larger lounge (with 85% more capacity than the previous lounge) boasts large windows with views over the boarding gates, out beyond the tarmac to the Remarkables mountain range. Offering five different spaces, customers can relax and refresh or plug in and get some work done before their flight, with most seats having direct access to power/USB charging facilities. Located on the upper floor of the Airport terminal, above the boarding gates. The lounge entrance is past the Airport help desk, with access via a stairwell or lift if required. 748m2, seating for 229 guests. Self-service food buffet, two self-service drinks stations and barista coffee. The Air New Zealand Dunedin Regional Lounge at Dunedin Airport has been upgraded and reopened in early November 2017. The updated space still features large windows with views of the surrounding farmlands, and now offers almost 50% more seating, with four different seating areas including business, lounge, quiet and café. Most seats have direct access to power/USB charging and a new self-serve buffet and drinks station offers a variety of refreshments. 382m2, seating for 122 guests. Light buffet refreshments and self-service drinks station. 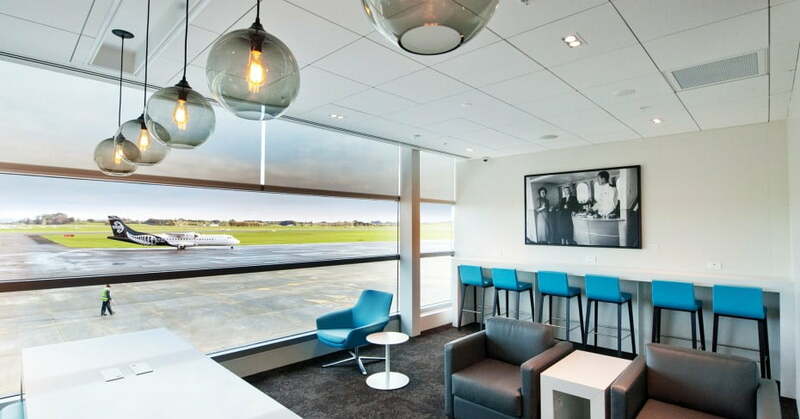 Our new Invercargill Regional lounge opened its doors in early 2016. Located at the northern end of the domestic terminal, it offers expansive views of the runway. The Lounge is located on the ground floor, on the right as you enter the Airport terminal. 110m2, seating for 51 guests. Wi-Fi, business desk and photocopier/printer, USB and power points at most seats.